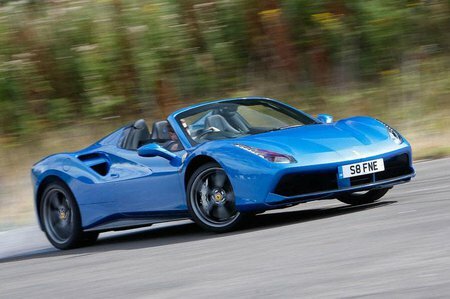 Ferrari 488 Spider Boot Space, Size, Seats | What Car? 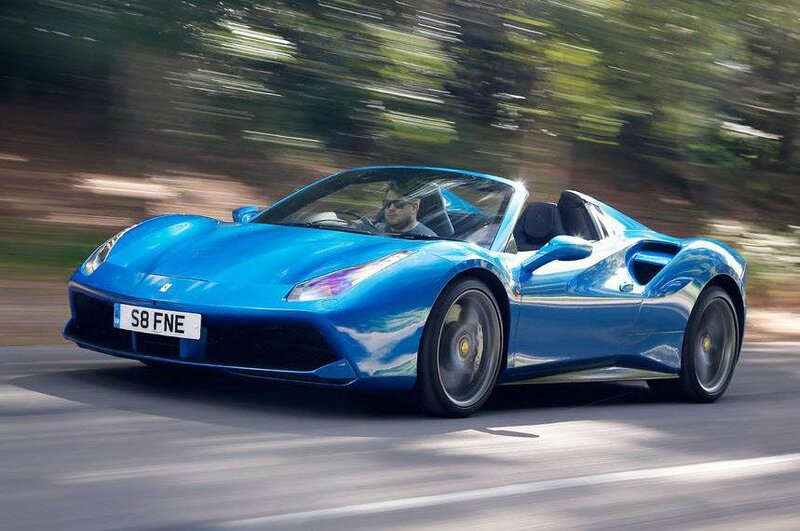 Of course, there are only two seats in the Ferrari 488 Spider, but there’s enough head and leg room for a couple of adults well over six feet tall, and they won’t be clashing elbows. Oddment storage is decent, too; Ferrari has provided a glovebox, cupholders and a handy central tray, while a shelf behind the seats gives you somewhere to stow a handbag or laptop case. True, there’s no luggage space behind the cabin, because that space is entirely taken up by the turbocharged 3.9-litre engine, but the well in the nose of the car is capable of swallowing a couple of overnight bags. The retractable metal roof is fully electric, folding away in 14 seconds and at speeds of up to 30mph.